Disruptors. Change-makers. Business builders. Those who innovate in ways that stand out from their peers. These change agents and entrepreneurial influencers are building a new world of ground-breaking technology and global commerce. Below we’ll take a quick look at sixty top industry disruptors (and their companies) that you need to follow and study in 2019 and beyond. Andrew Paradise at Skillz: An E-Sports tournament platform for cash and prizes is revolutionizing the video game industry and digital sports. Andrew Paradise is disrupting the gaming industry as we know it. Dennis Crowley at FourSquare: From failure to fondu, what started as an app for friends to check in has since morphed into a location intelligence that allows marketers to pin-point how their spending pays off through location visits. FourSquare is far from gone in 2019. Jay Kaplan at Synack: Jay and his partner Mark Kuhr figured out how to use hacking for good to help keep their clients’ networks safe. These white hat hackers are disrupting daily. Bob Goodson at Quid: Visual map creation of what ideas and trends are spread on social media most often. The ultimate market research innovation tool. Joel Spolsky at Stack Overflow: Stack overflow is simply, the place to go if you are in anything tech. The largest Q&A site for programmers, 3D artists, and tech information. Alex Vratskides at Persado: A scary market innovation tool that changes words in marketing campaigns to make readers respond favorably to different headlines. Josh James at Domo: Domo integrates all cash flow data, expense data, sales, etc. into a screen on your phone. This technology is helping companies have a snapshot of business opportunities at any moment along with a big boost in brand reputation. Chris Gregory at DAGMAR Marketing: Digital marketing is constantly being upended by innovators. We prepare our clients to take advantage of market disruptors, gaining first entrant benefits. Kamakshi Sivaramakrishnan at Drawbridge: Drawbridge tells companies (especially web browsers and social media companies) what devices a particular member of a household is using. For example, based on how you search anonymously on your PC, Drawbridge will tell companies if the tablet in a particular household is associated with the person using the PC. Thus it tracks searches to display the right ads based on the right person. Elon Musk at SpaceX: No surprise here for the man who is demanding another space race in addition to changing the automotive industry with Tesla. Brian Chesky at AirBnB: The “stay with a stranger for cheap” business model is still paying off dividends for Brian Chesky who will continue their momentum into 2019. Susan Wojcicki of YouTube: YouTube TV advertisements are all over the place on television now. Expect cable, satellite, and dish to be disrupted by YouTube TV and possibly even Netflix. The line between traditional and online multimedia has blurred even further over the last several years with YouTube being more mainstream than ever under CEO Susan Wojcicki's leadership. Anne Wojcicki of 23andMe: Anne Wojcicki, sister of YouTube CEO Susan Wojcicki and ex-wife of Google co-founder Sergey Brin, is disrupting the entire personal genomics industry. 23andMe has become a big competitor to Ancestry.com and other top genetic solutions. Jeff Bezos of Amazon: Amazon is supposed to disrupt the healthcare industry in 2019 by getting into the pharmacy industry. Amazon is also included here because it always finds a way to spread and disrupt. Bill Goldberg at InteractiveHealthInc: As the CEO of “the nation’s largest provider of employer-sponsored wellness programs” Bill has other workforce health companies on skates. His programs are also some of the most individualized wellness programs in the industry. Stuart McClure of Cylance: Cylance uses complex algorithms and machine learning and applies it to cyber security to fix the worst cyber security problems. Greg Martin of Jask: Jask finds cyber risks through artificial intelligence with a focus on finding serious problems and not reporting ones that don’t matter. Peter Smith of Blockchain: Blockchain is about to take off. Blockchain is essentially the most highly used way to transact with digital assets such as bitcoin and ethereum which exploded in 2017. Blockchain and cryptocurrency have faced some major losses in 2019 but the technology and principles are here to stay regardles. Vlad Tenev at Robinhood: Robinhood is the easiest way to start investing in 2019. It allows for buying and selling with no commission. Dan Lewis at Convoy: Like Tinder for shippers and truckers. It lets shippers find regional trucking companies and book them online. Brian Armstrong of Coinbase: Coinbase is the fastest growing company for selling and buying cryptocurrency with 100,000 new signups daily. Alex Deneui at Coda: Coda essentially brings in documents, spreadsheets, and applications into one interface. Enough said. Derek Nelson at Clique Studios: Say that, in one week, you want a fully functional web site design with direct customer feedback and all issues sorted out. Sound too good to be true? Not with Clique Studios’ Web Design Sprints. Bipul Sinha of Rubrik: Rubrik is a cloud data management company that deals mostly with backing up data over the cloud and has made new normalcies in data backup such as not having to backup software. Clark Valberg at Invision: Invision is the first major design app as well as the most used web design prototyping application on the market. John Gile at HappyMeter: Happymeter is a web application that offers job satisfaction reports and anonymous complaints from your team and to your team for a frictionless way to sort out problems and increase work productivity. Ryan Peterson at Flexport: Flexport is a freight forwarder/brokerage built around an application that helps businesses reach markets around the world. George Kurtz at CrowdStrike: Uses artificial intelligence against hackers. In addition, it can shut down stealthy hacks in progress. Colin Kroll of HQ Trivia: A founder of Vine is bringing an iOS app that is a live trivia game where users can tune in to win prizes daily. Daniel Screiber at Lemonade: Insurance company where brokers are replaced by machine learning and artificial intelligence. If that’s not enough, underwriting profits go to non-profit organizations. Martin Jaszczuk at Jaszczuk.com: New startups and many companies are having a harder and harder time outreaching to customers. TCPA law (Telephone Consumer Protection Act) sinks many of these companies in lawsuits. Not if you have Martin on your side in 2019. Jeffrey Huber at Grail: Grail has developed extreme blood screening and blood tests for early-onset cancer detection. Sami Inkinen at Virta Health: Virta health has come up with a program that reverses type 2 diabetes without medication. Matthew Cook at LBPMFG.com: Matthew Cook has only focused on two things at LBP Manufacturing. Innovation and environment. He has done them both very well. Recyclable single-serve coffee filters and an efficient way to bring hot drinks and serve anywhere all while being able to recycle are sure to disrupt the packaging industry. Scott Crouch at Mark 43: Technology that streamlines police work by speeding up ticket writing, data entry, and keeping track of records and case files. Hans Gangeskar at Nurx: Doctors at the company get data from the app and prescribe contraceptives on-demand without a doctor’s appointment. Bob Muglia at Snowflake Computing: Snowflake is the first data warehouse built in the cloud and this leading disruptor will be expanding in 2019. Keller Rinaudo at Zipline: Delivers life-saving medications via drone to places that can’t be reached by road. Sharkey at Brandless: Like the name suggests, this company takes the brand out of products and offers quality and cheap products. Broc Miramontes at Crew: Team communication simplified for groups like nurses and restaurant managers. Mike Schiemer at Bootstrap Business: Author, consultant, blogger & owner of 10 top blogs + websites on business & fitness. The year 2019 is going to be a big one for him! Lauren Farleigh at Dote: Mobile shopping mall for brands that didn’t want to be on Amazon. Think Ugg, Urban Outfitters, and Sephora. Eric Lefkofsky at Tempus: Tempus is putting thousands of medical images, genomic records, and clinical records together and analyzing molecular data in real time to help doctors make data-backed personalized decisions for medical cases. Molecular testing innovation at its finest. Tim Junio at Qadium: Hackers use insecure appliances on wifi to take down major websites like Twitter and Amazon. Qadium scans for appliances and alerts IT departments to prevent this. Jon Gelsey at Auth0: Auth0 helps with the backend process of password/login processes for developers and manages passwords for employees. Nadia Boujarwah at Dia&Co: Women size 14 and up clothing subscription service that grew 35x last year and they are disrupting the retail and fashion industries to say the least. Bruce Weindruch at HistoryFactory: Branding = embodying a vision for how your company will change the future and gluing every part of a company to that vision. History factory = takes all of the events and accomplishments of your company from the past and glues it to that branded vision. Matt Zeiler at Clarifai: Video and image recognition that will bring up similar images as to ones you’ve already found. Zander Rafael at Climb Credit: Student loans are out of control in 2019. Climb Credit gives loans to students at vocational schools with low rates while in school and monthly payments after graduation. Emery Wells at Frame.io: Online platform that allows users to upload project materials, share with participants, and comment or draw directly on video. Joel Montaniel at SevenRooms: Newest and most streamlined software for restaurants and hotels to do reservations, spending tracking, and in-house management to give guests the best experience. Ilir Sela at Slice: Local pizzerias don’t have the time to deal with creating an online pizza ordering application like the Domino’s and Pizza Huts of the world. Slice created one for all of them. Alex Fielding at Ripcord: Digitizes company records, indexes them, and retrieves them 10x faster than humans can do through robots. Curt Von Badinski at Motiv: The future of fitness tracking has arrived with smaller devices (rings instead of bands) as well as the ability to store days-worth of fitness and sleep data while being away from a phone. Dirk Kessler at Gladly: Eliminates support tickets for customers online by consolidating information to one location. David Ebersman at LyraHealth.com: As the first company that can instantly connect employees to therapists through online video sessions, companies that offer Lyra are hitting new levels of productivity and Lyra is busting up the competition. Adam Bry at Skydio: Developed motion planning algorithms and image sensors for drones to navigate intelligently. Has hugely opened up new possibilities in the drone market. Rene Lacerte at Bill.com: This website ties together banks, accountants, vendors, financial advisors, and documents to save huge amounts of time with digital business payments. Nima Ghamsari of Blend: Blend is transforming consumer lending in the mortgage industry through technology that makes home buying easier than ever. Ryan Smith at Qualtrics: Surveys and Market Research in the ever-growing cloud computing sector. In conclusion, 2019 will see a lot of tech and branding market disruption. 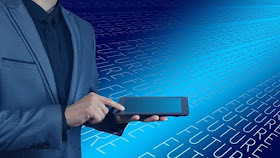 It looks as though tech sectors focusing on cyber-security, the cloud, app deliveries, IoT, virtual reality, augmented reality, machine learning, artificial intelligence, and service streamlining through mobile apps are the way of the future. Stay on top of current trends and technology with these top industry disruptors leading the way or you'll get left behind! Keep following these top industry disrupting business experts on social media and their other multimedia for additional insights. Stay on the cutting edge and take your martech to the next level! I hope you enjoyed this article about the top 60 best tech and marketing industry disruptors you need to follow in 2019. Interested in more articles about new digital technology disruption?